Work has started on a new footpath with several viewing areas overlooking Glenfinnan Viaduct. 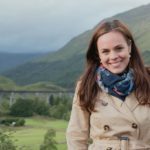 Passenger numbers to the area’s West Highland rail station have doubled in the last 10 years, with more than 11,000 visitors in 2017-18 flocking to the area to catch a glimpse of a train crossing the A-listed structure made famous by the success of the Harry Potter films. However, the surge in tourist numbers has not been without problems, causing severe congestion on the roads in the small village and the growing popularity of the area has meant some people stray too far from the hillside and onto the railway to snap the perfect photograph. To improve views, the severely eroded 1.4km walkway that crosses the hillside between the railway station and the viaduct is being upgraded to provide easier access to several new viewing areas, with information panels and signs introduced to raise awareness of railway safety. Tree clearance work has also been undertaken by Glenfinnan Station Museum, working with Friends of the West Highland Lines, Glenfinnan Estate and Network Rail. The project, a working partnership between ScotRail, West Highland Community Rail Partnership (WHCRP), Glenfinnan Station Museum, Glenfinnan Estate, Network Rail and Transport Scotland, is intended to increase the proportion of visitors arriving by public transport by improving services available to them and is due to be completed by the end of February. 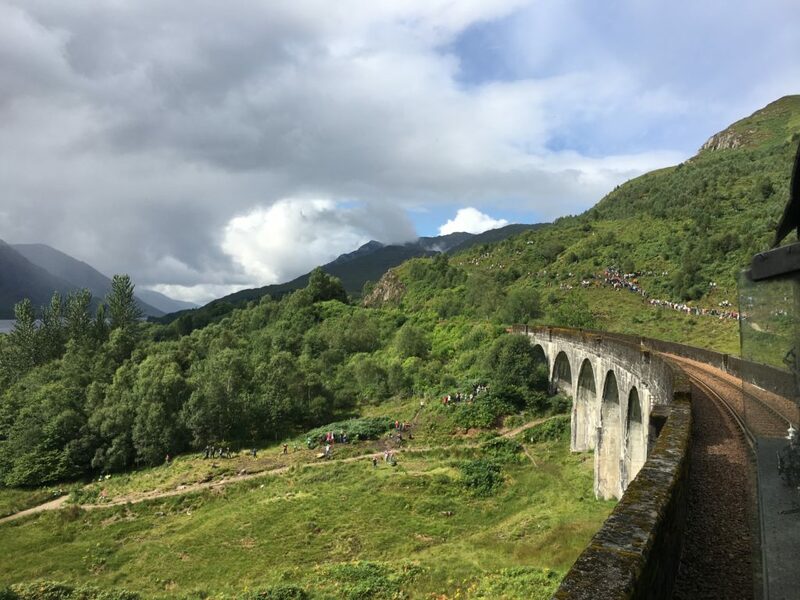 Once complete, the walkway will provide scenic views of the Glenfinnan Viaduct, the National Trust for Scotland’s Jacobite Monument and the Loch Shiel Special Protection Area. 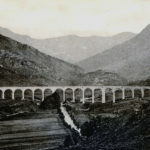 With permission of landowner Glenfinnan Estate, the 1.4 km Viaduct Trail was originally built by Glenfinnan Station Museum in 2012 to improve visitor access to the Grade-A listed structure built by ‘Concrete Bob McAlpine’ in 1901. Support came from the Heritage Lottery Fund and Highlands and Islands Enterprise. Over the years, significant numbers of voluntary hours have been poured into maintaining the path, but the volunteers have been fighting a losing battle against the wear caused by the ever-growing footfall. ScotRail project manager Anouska Chisolm said: ‘The new footpath and viewing areas at Glenfinnan Viaduct will be fantastic for tourism in the area and we hope it will encourage more visitors to travel here by rail instead of car. WHCRP secretary Hege Hernæs added: ‘We are delighted the rail industries are prioritising this work, which enhances sustainable tourism. ‘We hope ScotRail will now capitalise on the investment by marketing and further improving Glenfinnan’s train service.